Rewarding, enjoyable, motivating and fulfilling courses this term at The Dormston Centre - your friendly adult education venue. 350 seat, purpose built theatre which is home to a number of amateur theatre groups. We have a large sports hall, outdoor pitch, synthetic pitch, hall, gymnasium, drama studio & fitness classes. The Dormston Centre is committed to housing the best facilities, at affordable prices, in a pleasant and welcoming atmosphere. Our aim is to enable local people to hire, offer clubs / performances, participate in and attend a wide range of activities. We provide a diverse range of courses, both recreational and vocational. The atmosphere is friendly and relaxed. Courses run from late September and they usually last ten weeks. We have a 350 seat, purpose built theatre which is home to a number of amateur theatre groups. Please get in touch if you´re interested in hiring out our theatre. 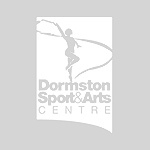 The Dormston Centre boasts a large sports hall and hosts a wide range of sports clubs. We have an outdoor pitch, synthetic pitch, hall, gymnasium, drama studio and fitness classes. New Sign Language Course starting this May!